It was certainly no Butler vs. Duke for the National Championship in 2010, but this year’s Oregon men’s basketball team was pretty close to a Cinderella story. Not even the die-hard fans, let alone the players, gave this team a chance of finishing second in the Pac-12 behind Arizona. The success from this past season is the fire that this basketball program needed. 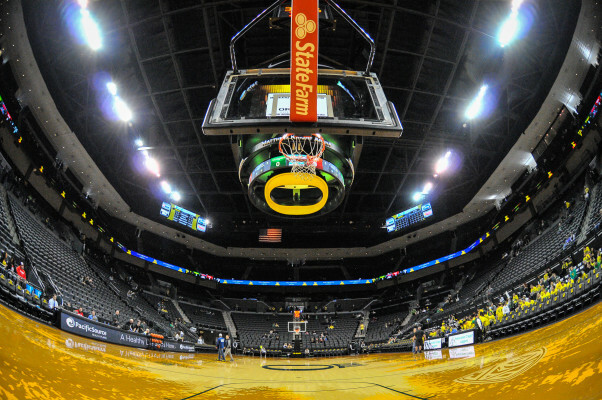 Can’t wait to be back in the friendly confines of Matthew Knight Arena. In Eugene, people care a lot about sports. The town is small, so apart from students, local residents also take pride in the success of Oregon’s sports programs. 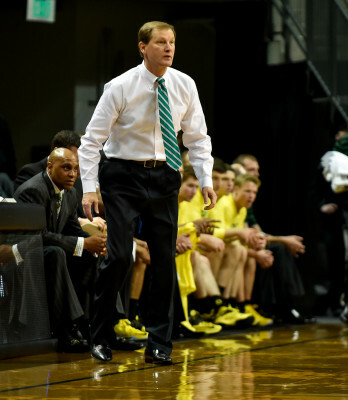 No matter what level of fan you consider yourself to be, Head Coach Dana Altman and his team proved that willingness to succeed can help overcome any struggles life throws your way. The loss of three starters before the season was certainly tough, but this team knew they needed to get their backs off the wall — and they did. It’s interesting talking about a Ducks basketball team being poised for long-term success, especially when it will be losing its best player in Joseph Young to the NBA. Altman has built an incredible program in the face of adversity — losing one player will only make this team come together. Take a look at three reasons why the Ducks are ready for success in years to come. Look at the fire in those eyes. Altman is the ultimate competitor. Like the common saying, “You never truly get to know someone until you live with them,” you never get to know coaches until they are faced with adversity. Not only does Altman have the intestinal fortitude to compete — and compete well — he also has the ability to instill the same mindset within his own players. In so many cases, players are a product of their coach, just like you are a product of your own hard work. When the coach treats you like family, nothing will get in the way of success. This past year, Altman received one of the highest honors in college basketball, being named Pac-12 Coach of the Year. With last offseason being one of the toughest in Altman’s very long career, the experienced coach deserved nothing less than this award. Leading his team to a 13-5 conference record in the Pac-12, Altman figured out the pathway through adversity that leads to success. It’s because of Altman’s intelligence on the court and determination to win that the Ducks are poised for long-term success. It all starts at the top, and with Altman being that guy, expect great things to come for the Ducks. With Young and Jalil Abdul-Bassit being the only seniors on the team this past season, the young guys had the chance to gain a ton of valuable experience. Currently both juniors and expected to return next year are Elgin Cook and Dwayne Benjamin. Cook was recently named to the Pac-12’s second team, solidifying his place as a starter next season if he chooses to come back. All of Benjamin’s athleticism and competitiveness will greatly benefit the young studs around him next year, which leads to the next point: The Ducks are stacked with young talent. 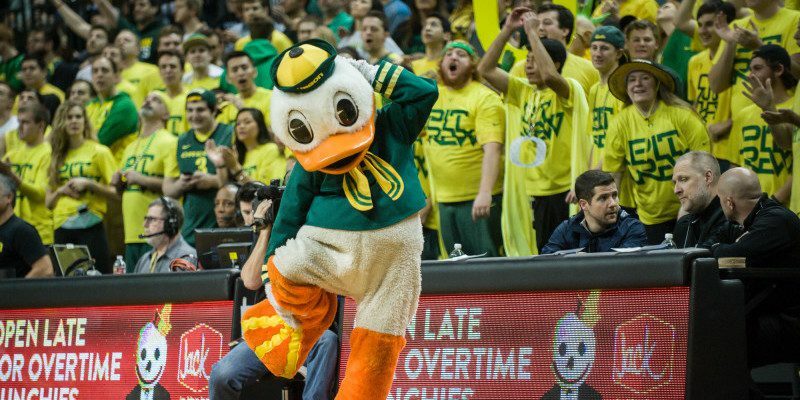 Ducks fans are elated to have Dillon Brooks back for his sophomore season. The biggest reason why the Ducks have secured a successful future is because of the young guys already on the team. Last season, so many holes were left on this team that it looked like the damage would be too hard to fix. Out of nowhere, freshmen Dillon Brooks and Jordan Bell became stars. Brooks’ fiery play, coupled with Bell’s freakish athleticism provided the Ducks some spark. The ability for these young guys to produce around a veteran player in Young allowed the team to perform to the best of its ability. 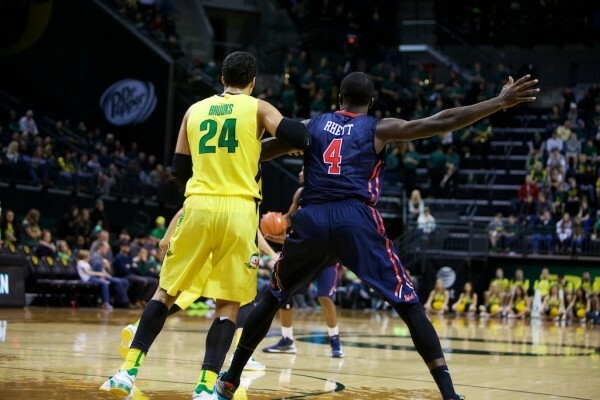 With Brooks and Bell, the Ducks also have spot-up shooter Casey Benson and Young’s replacement in Ahmaad Rorie. While the Ducks seem to have the pieces they need to be successful for years to come, nothing will be more exciting than this next season. Expect some great things from this team. If last season proves anything, this team will figure out a way to get over the loss of Young and be successful in the very tough Pac-12. The secret to any college program’s continued success is its ability to recruit, and recruit well. The football team has it down. Now it’s time for the basketball team to make its mark. In this coming class, the Ducks have signed 4-star point guard Kendall Small, along with hard commits from 4-star power forward Trevor Manuel, and 4-star point guard Tyler Dorsey. Basketball recruits are not followed with the same level of intensity as football recruits, but based on this current class, the Ducks did extremely well. With Small, the Ducks get a guy who can come in immediately and have an impact at the point guard position. With Manuel, the Ducks recruited size, an attribute they have lacked. And with Dorsey, the Ducks obtained a likely future All-American. Dorsey is considered by many to be the best high school basketball recruit in Southern California. His choice of Oregon over so many other schools says a lot about this program. It might sound beyond cliche’, but the best is yet to come for this program. The amount of success that this team achieved last year — coupled with having Altman at the helm — means nothing should stand in the way of the Ducks flying toward success. Walking into Matthew Knight Arena is unlike any other experience in college basketball — now picture being in one of the top venues in college basketball, along with one of the top teams in the nation. The future is cementing itself now. Get ready, because the best Ducks team in school history could very well be playing in front of our eyes in the next few years. Altman and his team are out to show why they belong with the best.